It’s been a long time coming, but Microsoft has announced that they will no longer support or release security updates for Windows XP after April 8, 2014, a move that will effectively kill off what has been arguably the most popular version of Windows ever released. Q&A: My Task Manager is disabled. How can I get it back? Question from Eric: My computer slowed to a crawl and I found out that it was eaten up with Spyware and viruses. I spent the better part of a day cleaning it all up but now I can’t load the Task Manager. It’s grayed out on the menus and I can’t click it. How can I get it back? 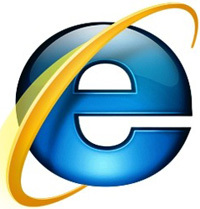 Q&A: Why is Internet Explorer 10 slow to load the first page? Question from Randy F:. Rick, I took your suggestion and upgraded to I.E. 10 and it was a great move. It’s a lot faster than I.E. 9! But there is one problem: When I.E. is loaded the first time it takes forever to load the first web page. But after that, every other page loads in a jiffy. This started when I installed I.E. 10. Do you know how I can fix this? Thanks! Super Control Panel – Access all Control Panel tools and settings from one screen! The Windows Control Panel contains dozens of tools and settings for tweaking the way Windows performs many of its numerous tasks. Most of these tools and settings are nested underneath a plethora of menus, making it difficult to find exactly what you’re looking for without doing a bunch of clicking and searching. Q&A: Can I really drop my cable and watch TV online? Question from Carla J.: I keep hearing how lots of people are dropping their cable TV and watching all their TV shows online for free. I only really watch 3 shows on a regular basis – Duck Dynasty and HGTV’s Curb Appeal and House Hunters. It seems like I’m paying way too much just to watch 3 shows! I’d love to be able to tell Charter to stop my service and start watching my shows online, but this just sounds too good to be true. Is it? Rick’s answer: No Carla, it isn’t. Millions of people around the world now watch their favorite TV shows over the Internet. And yes, many of those shows are absolutely free (not counting the cost of your Internet connection) and many others are available for a modest fee.